Spots are caused when blocked pores become infected with bacteria, and one of the best ways to prevent spots from happening in the first place is by removing the dirt and grime that causes these blockages. This grime consists of excess oil and dead skin. Usually, dead skin shouldn’t settle in the pores, but when you have oily skin, the oil traps it. Over time, lots of oil and dead skin compact into a pore, until bacteria arrive and cause an infection, leading to a spot. Microdermabrasion provides an extremely deep cleansing effect, which removes all traces of excess oil and dead skin cells from the surface of the skin, helping to reduce the likeliness of spots appearing in the future. Whilst many skincare products claim to unblock pores, more often than not the product will only have a low-potency acid or ineffective exfoliation particles in it. Pore blockages can be very deeply compacted, and many cosmetic products simply aren’t powerful enough to have much of an effect. During a Microdermabrasion Facial, a fine jet of abrasive particles will be passed over your skin, abrading the blockages and then hygienically vacuuming them away. 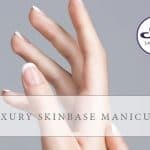 The deepness of the exfoliation can be increased with each subsequent treatment, which allows the therapist to deeply clear out your pores over the course of your sessions. By removing layers of dead skin cells, Microdermabrasion stimulates young, healthy cells to come to the surface. 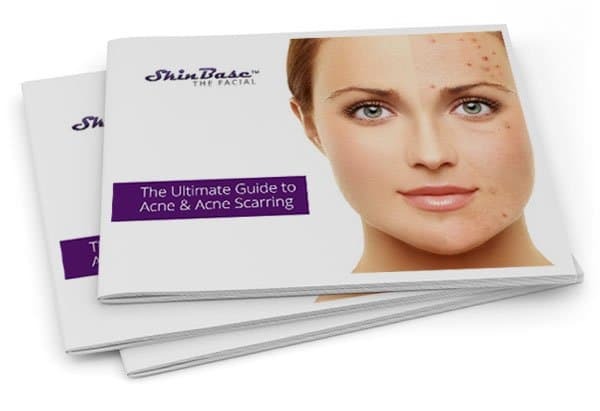 This is an important aspect of treating spots; not only does this help to get rid of existing ones more quickly, it also helps to reduce the scars caused by previous spots too. 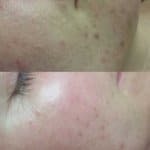 If your confidence has been knocked for years by uneven skin and scars caused by previous bouts of spots, Microdermabrasion can help. Spots can be uncomfortable, and when they’re inflamed they can be very noticeable too. Microdermabrasion helps calm and soothe the irritation for a smoother, more even complexion. Don’t forget that treating spots doesn’t stop here. Look at your diet to make sure food intolerance isn’t contributing to your skin problems. Check your hygiene practices to ensure a dirty phone or a grimy pillowcase aren’t the cause. And take a good look at your skincare routine to see if you can find the potential culprit. A good skincare routine for someone with spot-prone skin should be light, gentle and simple. Don’t overdo the cleansing as this can cause your skin to overcompensate. Also, don’t use harsh products because this can cause irritation, leading to worse spots.